Thursday, March 12, 2015: On our last morning in Tucson, our incredible host made a full blown southwestern country breakfast for Kit and me! After lingering over coffee, we broke camp at 1130 and headed down the road under cloudy skies and warming temperatures. 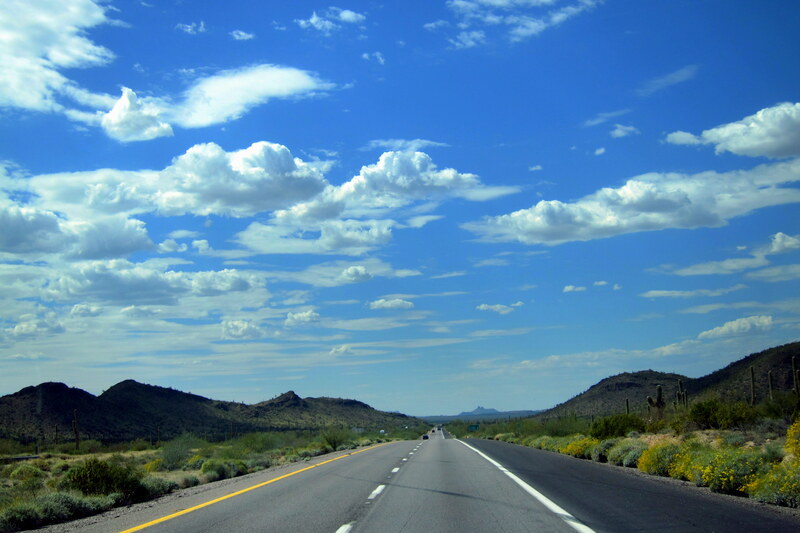 Following a quick stop at Tucson’s RV Central to dump the black waste tank, we jumped on I-10 and headed northwesterly. 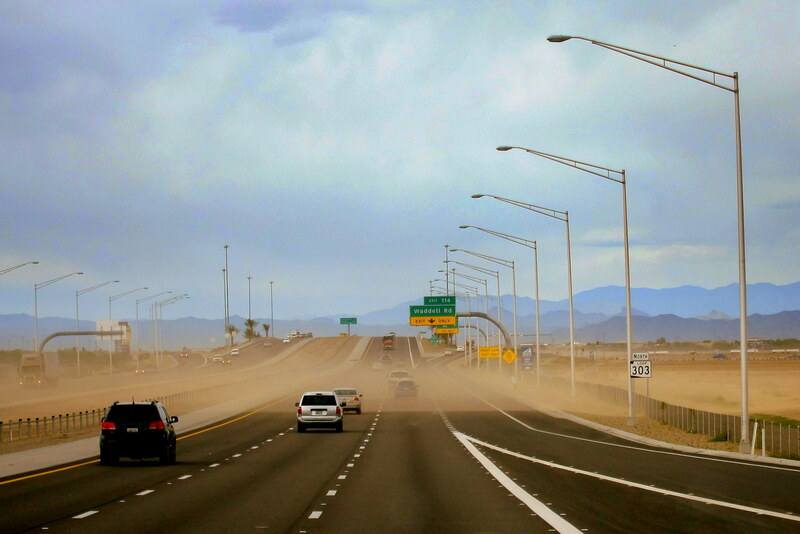 A few hours of monotonous driving brought near Phoenix, where we took a short cut which added an extra hour to our travel day……and, we ran into a sandstorm! Don’t ask…..I promised the chief navigator that I wouldn’t tell a soul about her confusion as to what hemisphere we were in. Imagine our surprise when we arrived in Surprise instead of Sun City!?!? 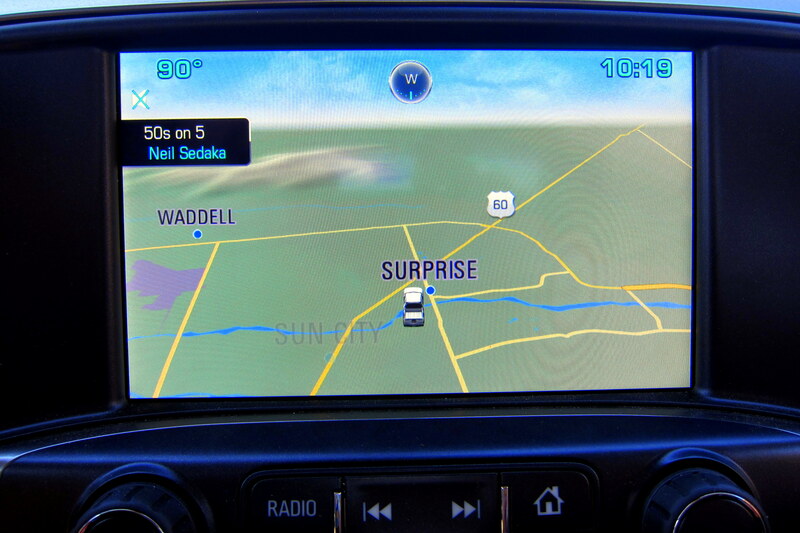 A lot can be learned from a simple screenshot of our trucks navigation system. First off, there is indeed a city in Arizona called Surprise and second, it is indeed 90 degrees! But the real embarrassing revelation is that Kit and I listen to old Neil Sedaka tunes…..of, the shame! Actually, we intended to be in Surprise…..a state we seem to perpetually live in anyway. 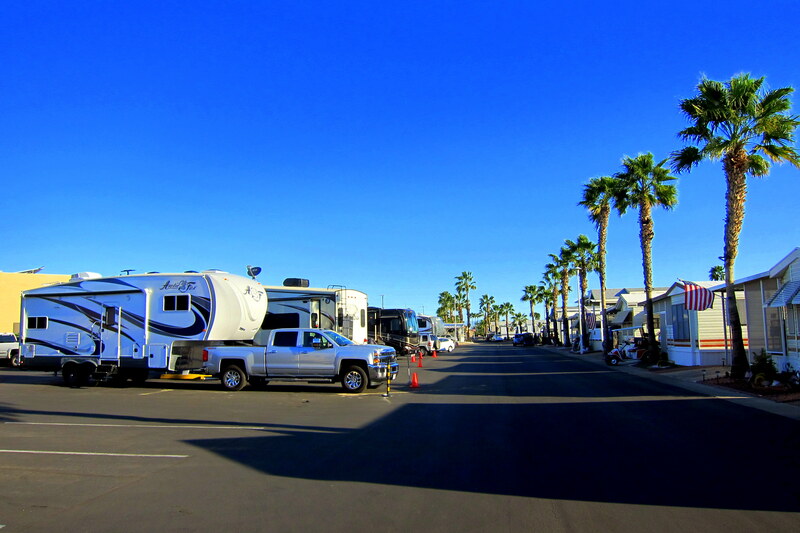 You see, the RV Park in Sun City that we usually stay was plum full of folks enjoying MLB Spring Training games and NASCAR. 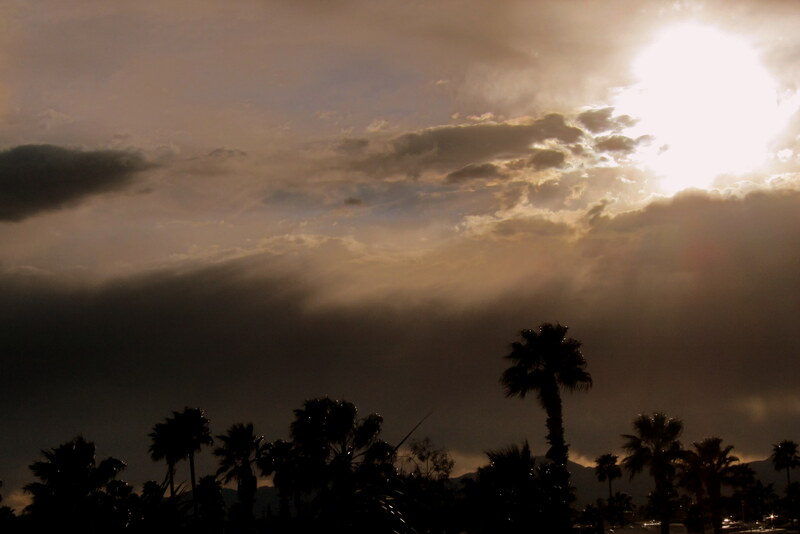 So, we found a Resort a bit farther to the west in the City of Surprise…..surprised? 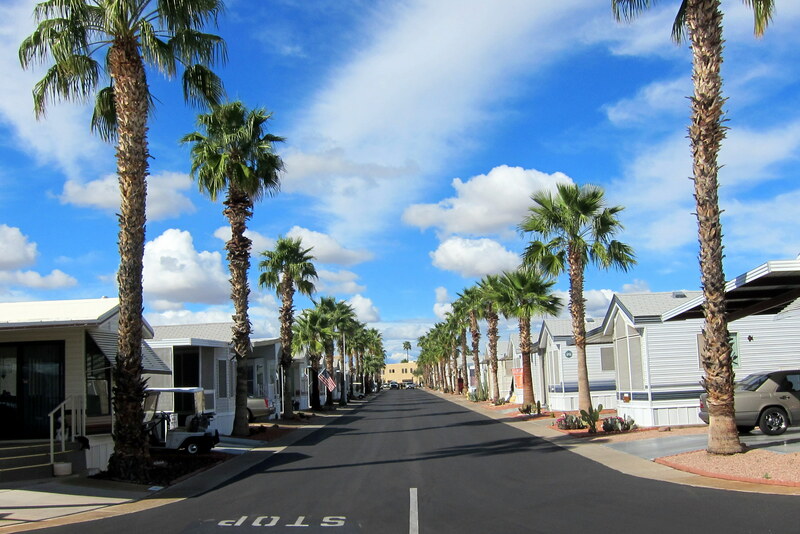 Sunflower RV Resort is like many “age appropriate” parks in the Southwest. It contains anything and everything that the active retiree could possibly want to see or do and the whole place is made from recycled cardboard. Well, not really…..but the color of the buildings did have that generic cardboard pallor. To offset the rather drab desert color scheme, the Sunflower folks planted sunflowers! 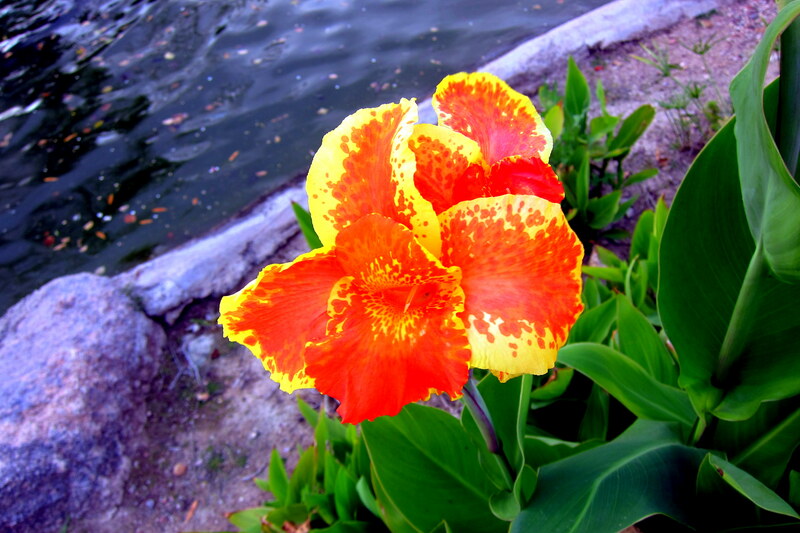 Yea, I know…..technically they’re not Sunflowers, but they are flowers and it is sunny, so….? They were near full capacity here as well! However a portion of their parking lot had been pressed into service as emergency overflow which was known by the locals as Asphalt Beach. Even at that, there was only one other spot available! What our assigned site lacked in amenities or landscaping was partially made up by the convenience to the resorts courtyard. 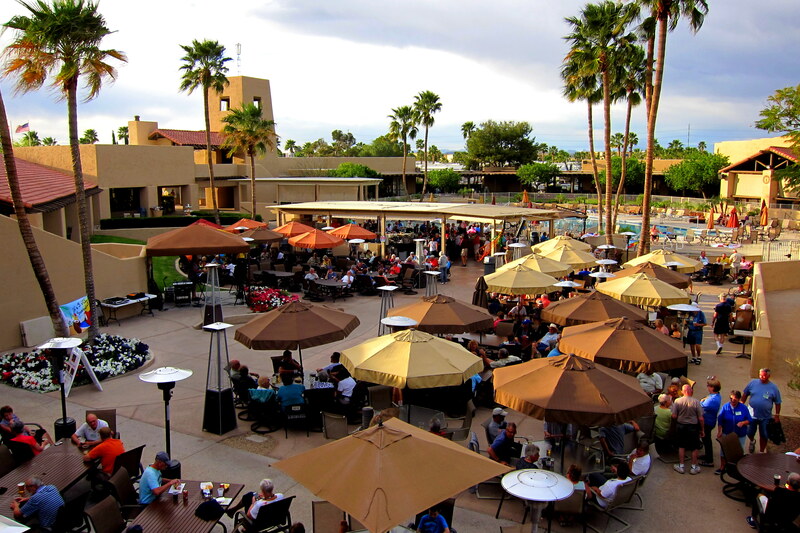 Contained within was The Tiki Bar…..a nice relaxing poolside eating and drinking establishment with a stage where live music groups performed. 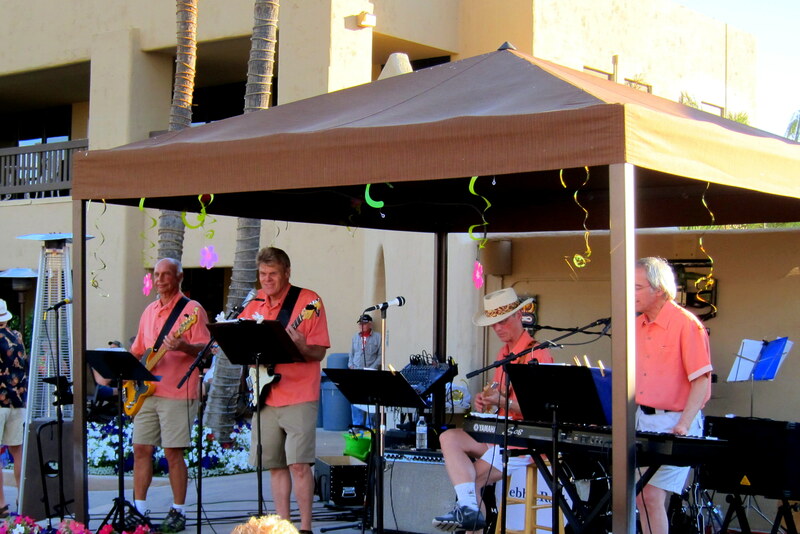 This evening’s featured entertainment was a talented cover band playing Jimmy Buffett songs!! Kit and I settled in for a nice meal of barbeque pork followed by a couple of high octane adult beverages. A resort such as this draws folks from all over the northwest, similar to how Florida attracts retirees from the northeast. Folks like Kit and I are a rare sight in the west…..being from Maine and all. However a couple of kindred souls wandering by and attracted our attention. Tried to get his backstory, but the fellow clammed right up…..which was kinda ironic. However his partner said he has a habit of getting into hot water, becomes really steamed and she has to butter him up in order to set things right again. 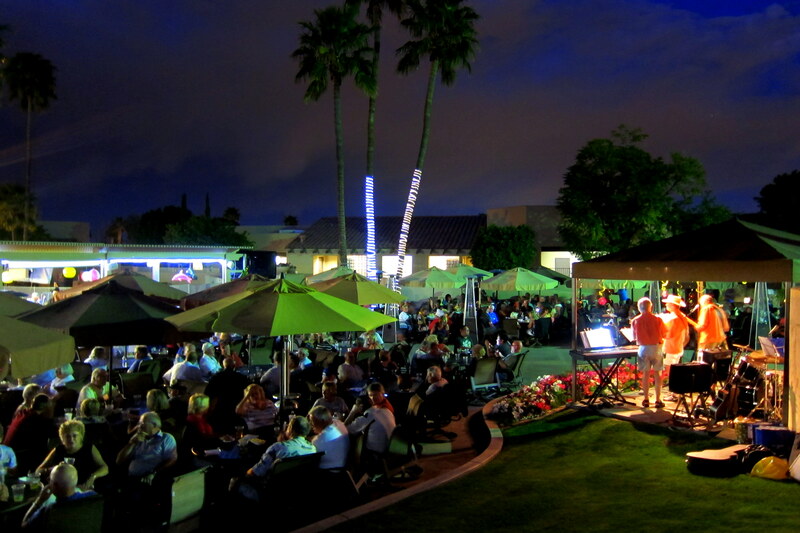 Kit and I had a great time visiting with fellow retirees from all parts of North America and listening to incredible music long into the night. Before returning to our little piece of paradise on Asphalt Beach and pouring ourselves into bed……zzzzzzzzzzzzzzz. 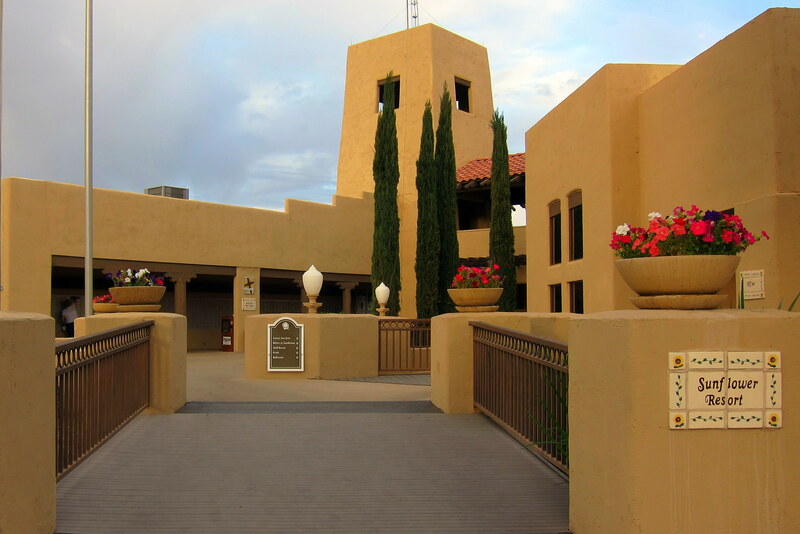 Friday, March 13 through Wednesday, March 18, 2015-Surprise, Arizona: Surprise is a town largely made successful by the developer Del Webb who designed and built the first age restricted community, Sun City. The name “surprise” came from the original owner of the land that Mr. Webb purchased it from when she exclaimed, “I’ll be surprised if anyone would want to move here”. 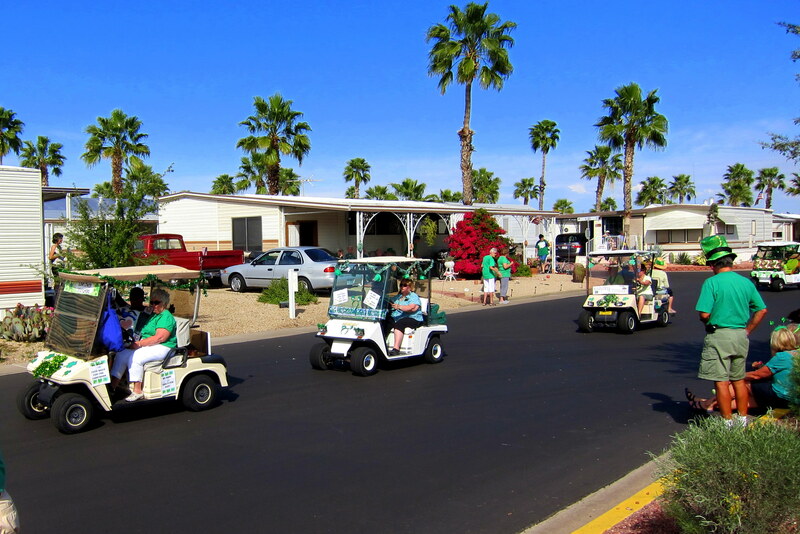 That was in 1960 when the population stood at a few thousand…..today Surprise, Arizona boasts over 125,000 old folks. After our penance of staying in overflow was satisfied and we apparently passed the “Dork Test” last night, Kit and I were able to move into a full hook-up spot with the general population. The site is actually owned by a snow-birder who had to return to his northern home a month early, so it was made available for short term rental. And, as an added bonus, we were fortunate to be next door to some great neighbors! They are winter escapees from Red Deer, Alberta. Reg retired from the Royal Canadian Mounted Police as a float plane pilot and Janet is a nurse. Being members of the local church, they volunteer in a number of ways to support the community. Every Sunday, Reg and fellow members of the congregation are invited into the local commercial citrus fields to participate in a process called “gleaning”…..or the harvesting by hand of fruit that the large machines have missed. 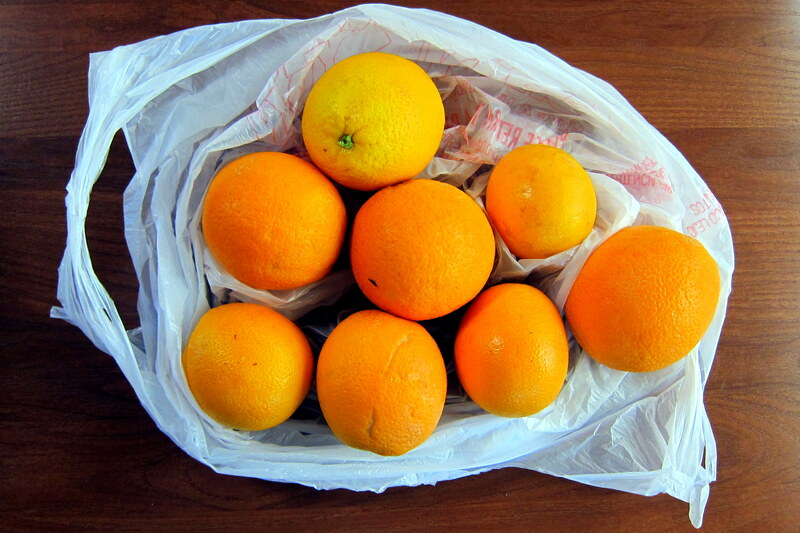 Most of the perfectly fine citrus is donated to various food shelters, and a small amount is kept by the gleaners…..Reg thoughtfully gifted a portion of his share to Kit and me. Absolutely no tastier oranges can be found! 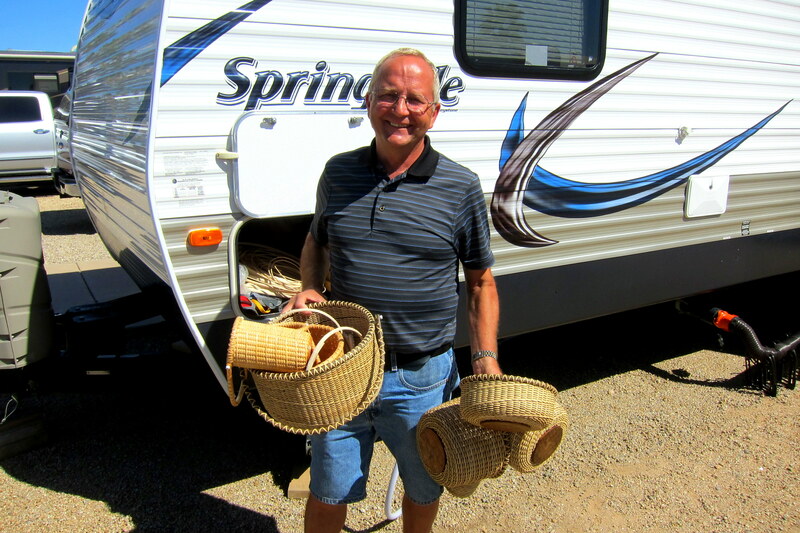 Reg and Janet have been coming to Sunflower RV Resort the past few winters for the great weather, friendly folks and incredible variety of activities…..one of which is classes on making Nantucket Baskets. 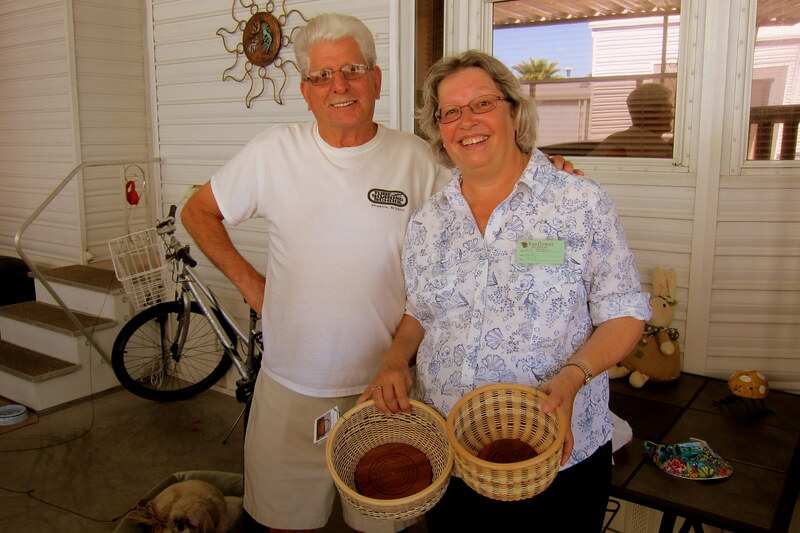 Reg is very talented in the artistry of making these traditional vessels and Kit loves handmade baskets…..she was able to purchase a couple from one of the other members in their group. 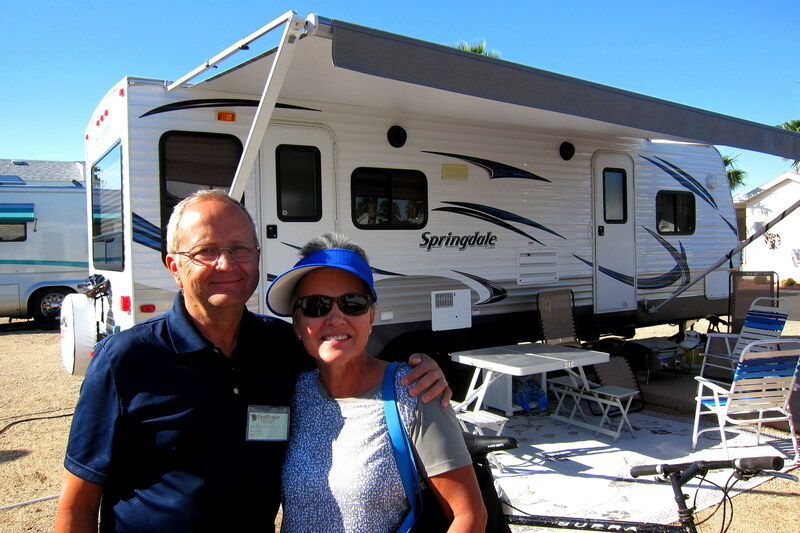 Sunflower RV is huge…..1,139 sites! All but 230 of them are occupied by folks in Park Model units, and most of the rest by folks in large motorhomes or fifth wheel trailers. Only a handful of sites are available for rent to the traveling public, and most of those are in a dusty back corner. We lucked out in getting a site that was convenient, large and nicely landscaped. The community Center surrounds a central courtyard that contains two swimming pools, two spas and a steam room, as well as the very popular Tiki Bar. 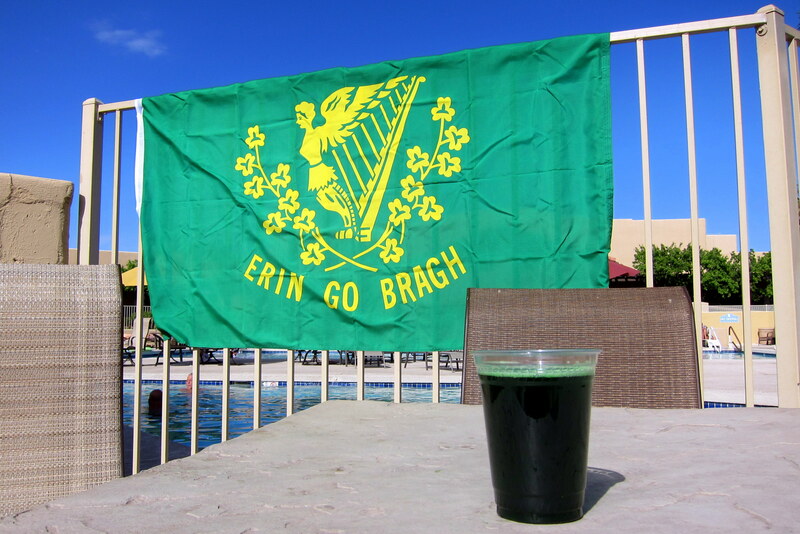 Which, in addition to live music, features theme parties…..such as the one we enjoyed on Saint Patrick’s Day. Complete with the obligatory green beer and the ubiquitous parade o’ green. The community buildings themselves contain many different workshops and rooms devoted to crafts and activities such as: Arts & Crafts, Ballroom, Billiards Room, Card Room, Church, Computer Center, Dance Classes, Fitness Classes, Hiking Club, Horseshoe Pits, Community Kitchen, Lapidary, Musical Groups, Pickleball, Ping Pong, Pottery/Ceramics, Quilting & Sewing Room, Round Dance Lessons, Scrapbooking, Shuffleboard Courts, Fitness Center, Water Aerobics, Water Volleyball, Wood Shop and Zumba. 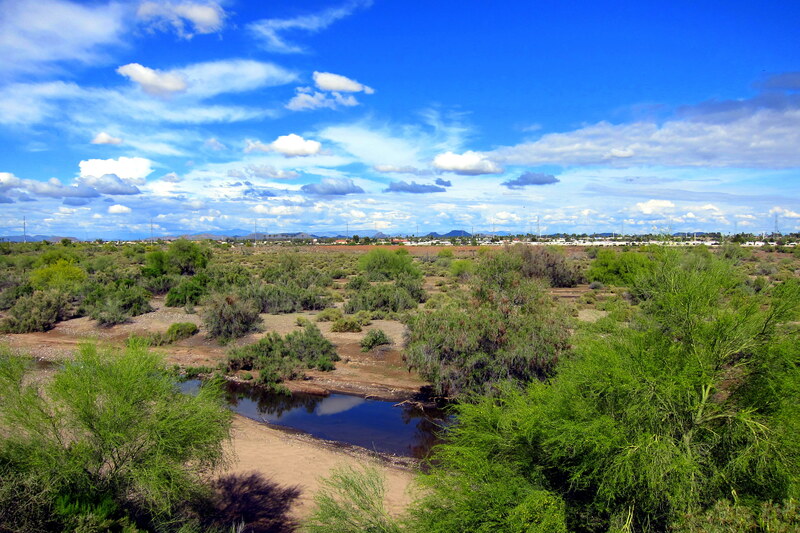 The park borders the Agua Fria River……a major north-south waterway that is bone dry most of the year. This is the first time we have seen aqua in the Agua Fria…..it has been a pretty wet winter in these parts! The weather has been schizophrenic during our stay…..days of bright sunshine and warm temperatures interspersed with days of turbulent weather. Folks about tell us this is common for this time of the year. Kit and I thought it a refreshing change to the hot, dry weather we had been experiencing. All in all, a great place for the active senior to slowly age…..however not quite our style for a long term stay. One reason we even stop in the Phoenix area is to see friends from our old San Diego neighborhood. Martha and her husband Tommy live a few miles away……and, as an added bonus my childhood friend Rodney was up visiting from Tecate, Mexico. Also, living independently at age 99 a few blocks away is their father, Mister O. He still drives and is alert, funny and active…..playing golf a few times a week. Martha and Rod put on a great backyard barbeque for Kit and I and we had a blast remembering old stories of teenage indiscretions. On our way back to the campground, oh…..excuse me, the RV Resort; we came across this interesting vehicle. 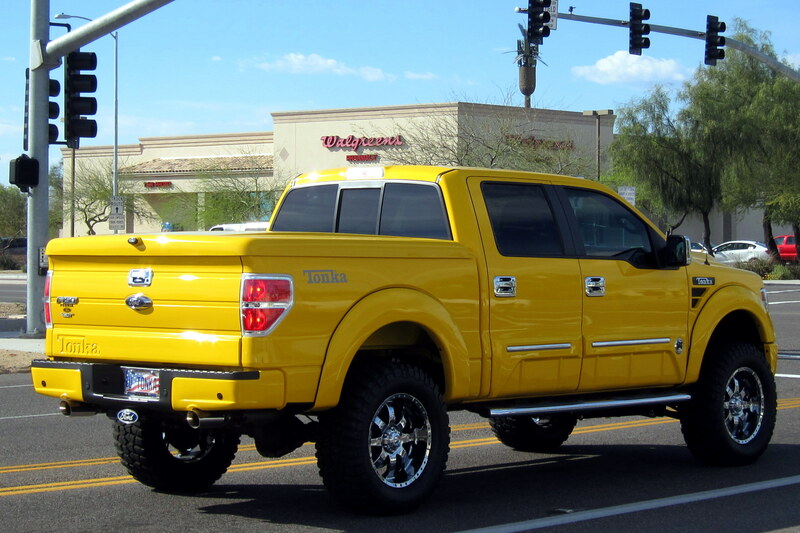 It is said that folks that like trucks are just big kids with big toys…..this fellow kinda proves that assertion! Thursday, March 19, 2015: Today we were planning on heading out. However, last week Kit noticed a problem with her left eye last week so we made a visit to an urgent care clinic. The MD thought it might be a rather large “floater” floating about…..a common problem that affects folks of a certain age. However to be on the safe side, he referred her to an ophthalmologist and the earliest appointment we could get was today…..so we delayed our departure until tomorrow. 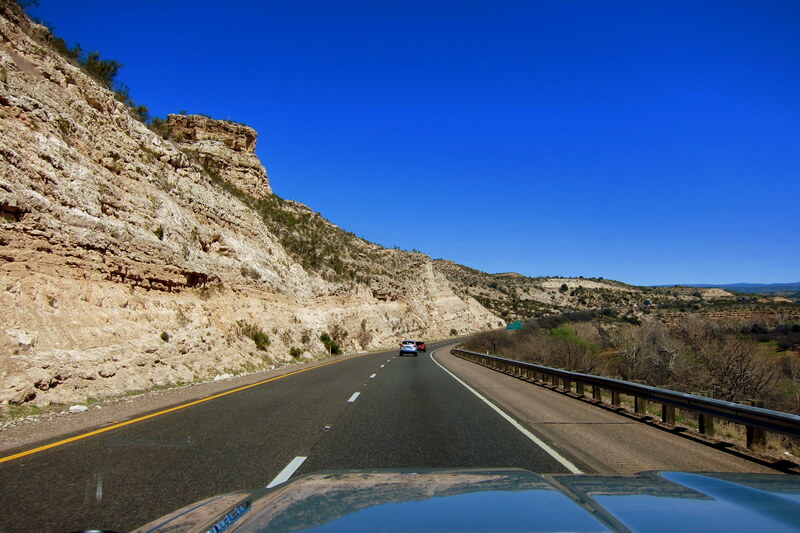 Friday, March 20, 2015: With a clean bill of health and a referral to be seen again in six weeks, Kit and I hit the road at 1000 under clear skies and a temperature of 80 degrees. 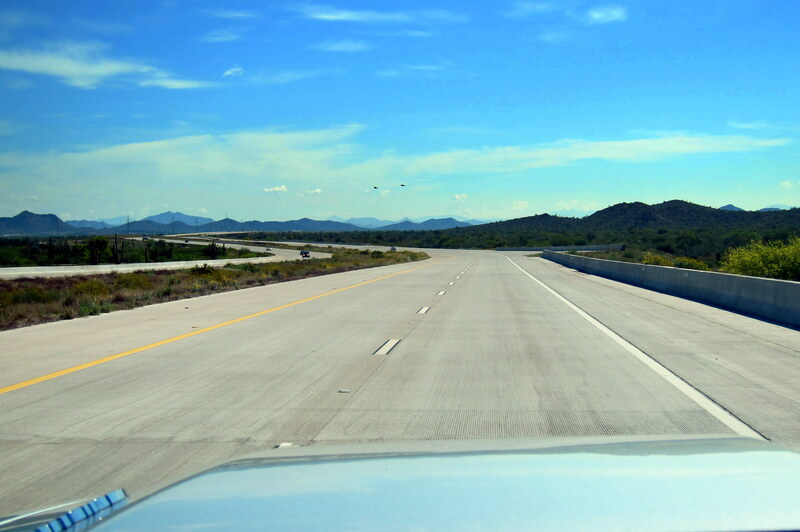 We looped around Phoenix on AZ-303 until we intersected Interstate 17. Then, we headed north toward the town of Flagstaff. This is the first highway we have driven on that featured a yellow diamond shaped road sign that was truly useful. 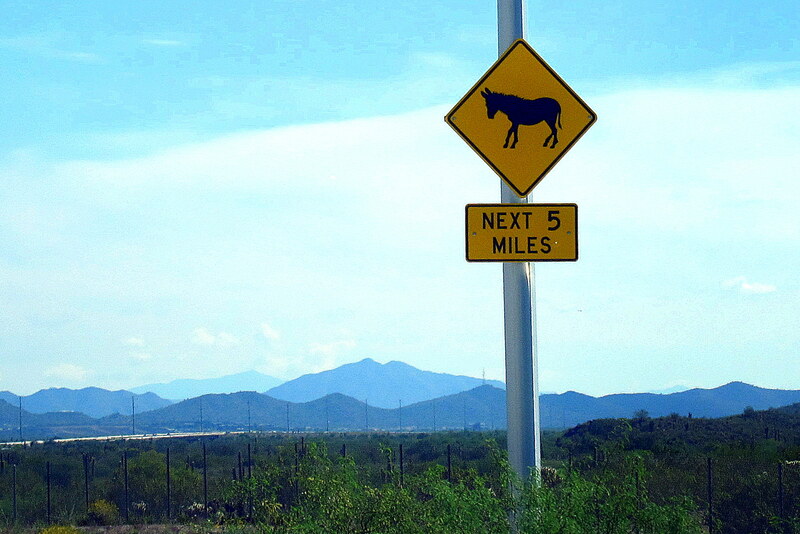 Warning the sane and courteous driver that they were likely to encounter a real jackass in the next five miles was invaluable…..needless to say, but I will, my defensive driving skills went into overdrive……like the metaphor? 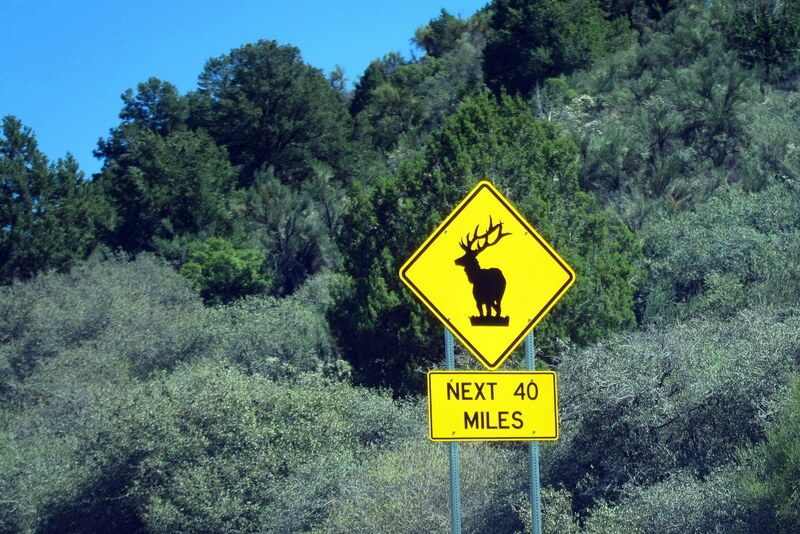 Within a few hours of leaving the Jackass Zone, we began gaining altitude. As the rig topped out at 6,000 feet we entered the Coconino National Forest and a different environment than we have experienced these past few months. Nearing the town of Flagstaff we spotted snowcapped Mount Humphries through the trees. 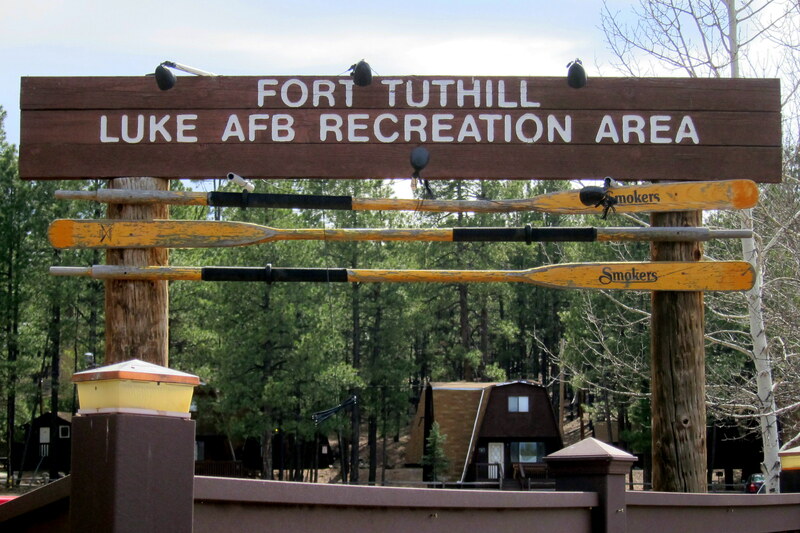 And just south of Flagstaff we pulled into the Fort Tuthill Recreation Facility…..a place Kit and I have enjoyed many times on past Excellent Adventure trips. Being sparsely populated, we had our pick of the sites. After setting up and walking about the grounds, Kit and I sat down to a great meal and then retired for the evening. 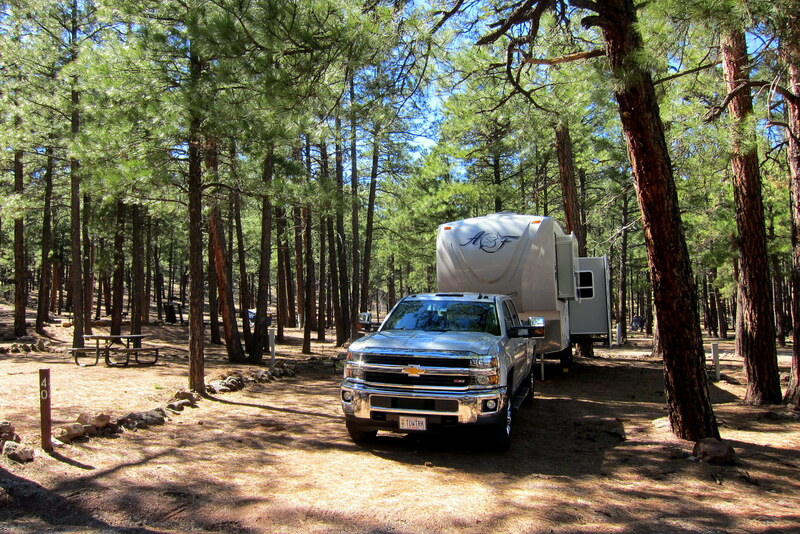 Stay tuned for Issue #14…..Fun in the Coconino Forest of Northern Arizona! 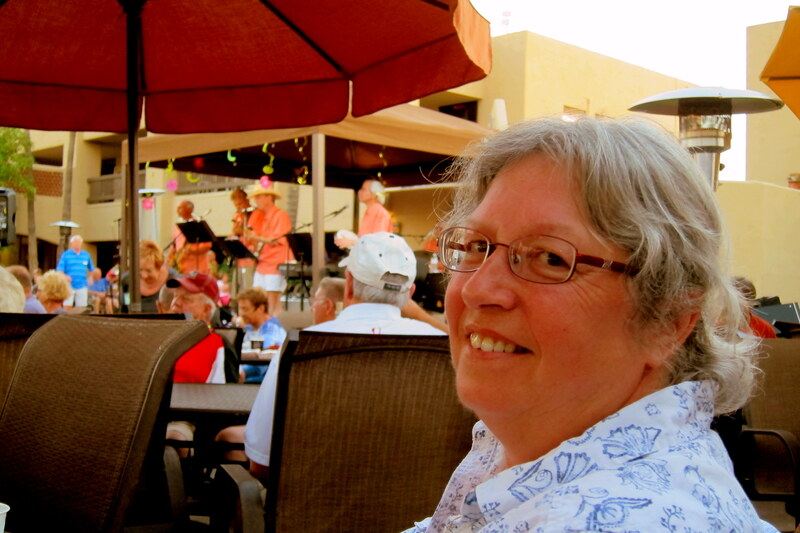 Kit’s Bit’s: We thoroughly enjoyed our time in Surprise, AZ! The Sunflower RV Resort was very nice. So many activities, it almost made me dizzy! We enjoyed walking around the grounds and chatting with people. 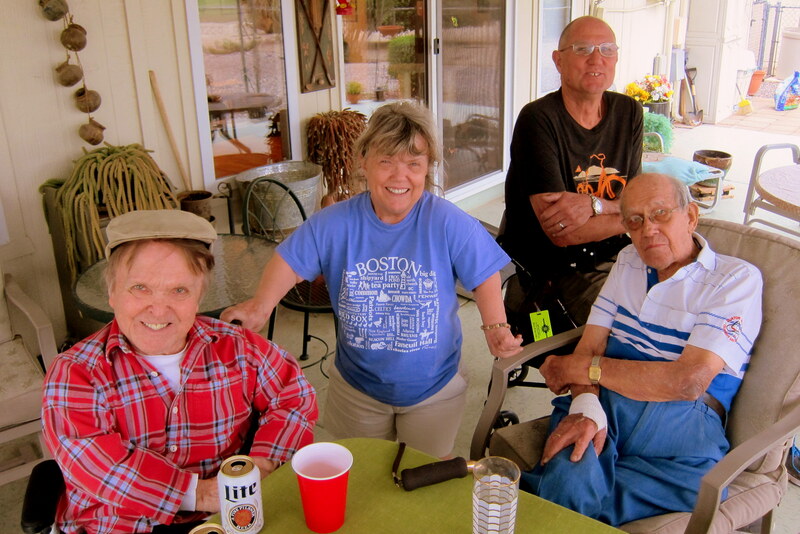 Best part of our stay there was seeing our old friends, Mr. O, Rodney, Martha & Tommy. We missed Gloria; she was with her mom (also 99) in Tecate. 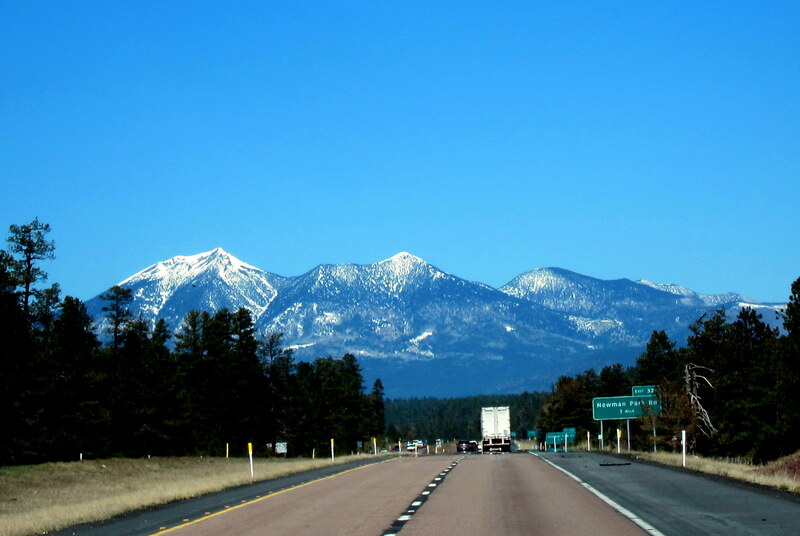 On to Flagstaff, one of my favorite places! Very much like Maine! We took it easy and rested up from all the activity in Surprise! Wow, the Sunflower RV Resort is quite a well-developed “happening”! From the Tiki Bar, to the Jimmy Buffett singers (hard to be in a bad mood with that music in your head), mandatory margaritas when listening to Jimmy Buffet music, the golf carts and all the various activities they offer, it sounds like a really fun place! If you find any “extra water” laying about, TRY to convince them to send it to California as we’re in Year Four of our “historic drought”. It’s gonna be a long, hot, dangerous summer in terms of big fires. After four years of drought, even the water in our wells has dried up. As we FEED two-thirds of our fine nation, I don’t see this drought as “California’s problem”. To my mind, all those states who have received such a deluge of rain or snow this winter should be swapping their excess water for the FOOD we grow for their consumption! Truck it in, send it in a rail car or there ARE conveyances available wherein water can be moved. As it is, Californians are having to cut way back on their water usage, do things like keep buckets in the shower to catch the “overflow”, paying a small FORTUNE for the water they use (charged by the gallon – your usage better be within the bottom two “tiers,” or you pay a King’s Ransom) AND the Guv has ordered we let our expensive landscaping DIE. Help! Can a few people “think outside the box” here? Arizona seems to be a State of vastly different land masses and climates to go along with that. Despite all the snow we received this past winter, we had a ‘fire danger” alert Thursday due to lack of rain and high winds. The leaves aren’t out yet, and the grass is still brown, so it makes for good fire material. However, our weather problems are minute compared to the ones in CA, which we have been following in the news. 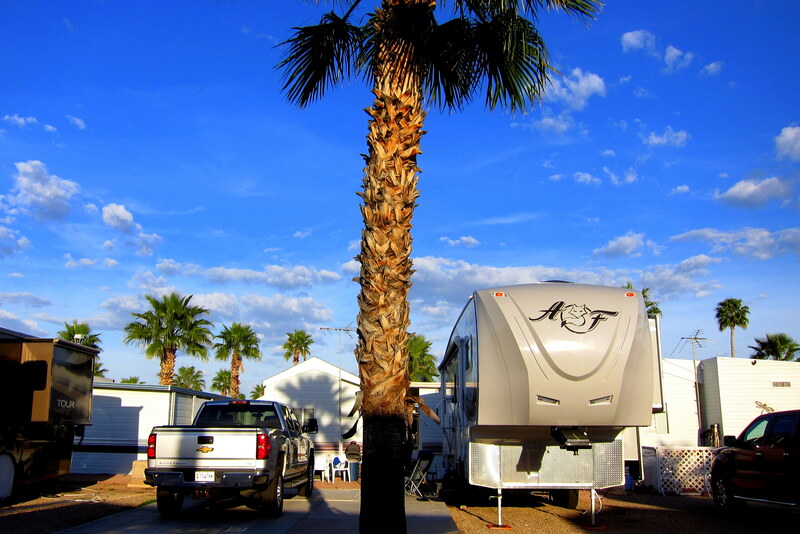 The Sunflower RV & Resort sounds like a lively place with enough activity to keep one busy 24/7! Enjoy your adventures. 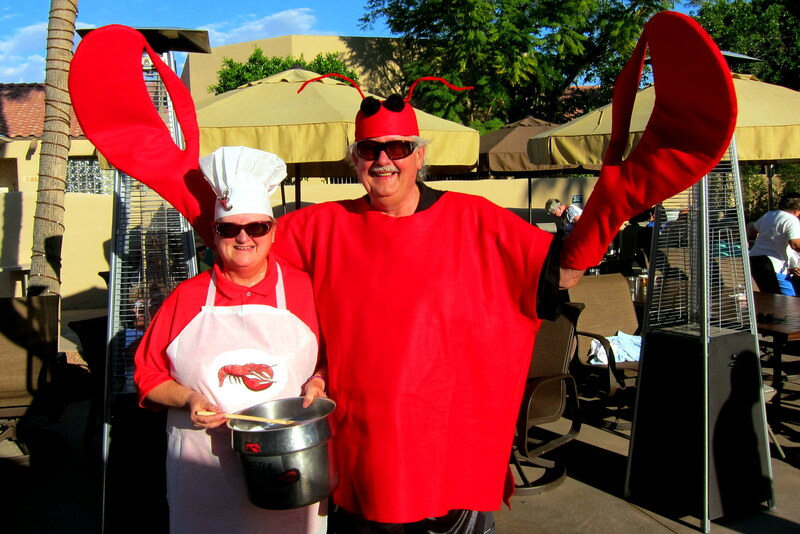 That Lobster couple story — did you manage to get him out of his shell? What is your predicted Maine arrival time? We will be heading north from our Venice Fl vacation on April 30 with arrival date of May 7. I’LL BE ANXIOUS TO READ THE NEXT TRAVEL JOURNAL EXPLAINING, HAVING FUN IN THE COCONINO FOREST!! Don and Jane above must be in Arizona Bill? Good story and pictures as usual in this “edition”. Maine is finally warming up to bearable temperatures. I actually went cruising on my four wheeler for a few minutes Sunday without freezing. Vince and Candy are slowly migrating North. Looking forward to seeing you all back in sunny Maine where the water flows freely. Keep her in low gear and enjoy those cheap gas prices!